SightSpace Pro: Mobile Augmented Reality for Architecture, Engineering, and Construction - Limitless Computing Inc.
Limitless Computing Inc. is an award-winning Boulder CO-based company that has been providing cloud computing since 2006 and specializes in mobile cloud computing and Augmented Reality. 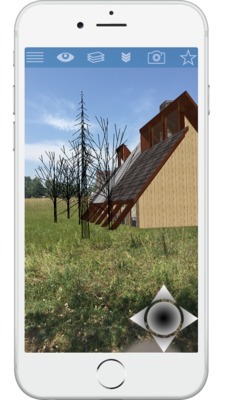 Limitless brought Augmented Reality to SketchUp™ in 2011 with the release of the mobile application SightSpace® Pro for mobile. SightSpace has expanded to be compatible with all major 3D modeling software formats including .DWG, .KMZ, .SKP, and more. SightSpace Pro turns mobile devices into a powerful machine that blends virtual designs with the real world. Available now on the iTunes App Store and Google Play in 7 languages (English, Spanish, French, Japanese, German, Chinese (simplified), and Korean).